The Classic Edition Plenary of TCI Asia Pacific was held in Bali, Indonesia from 26-29 August, 2018. 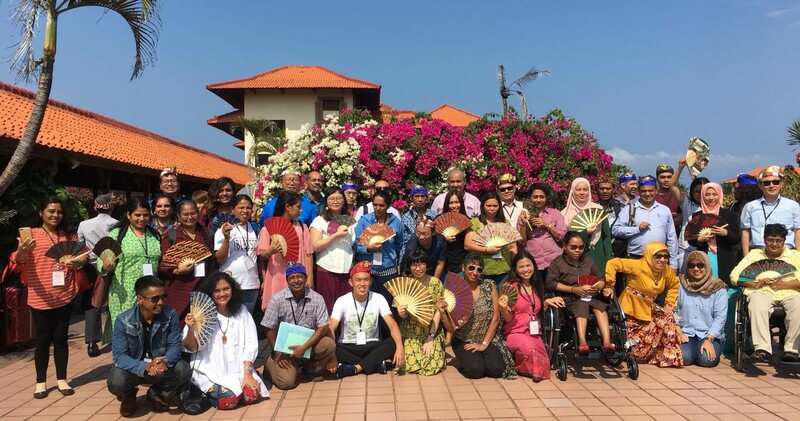 The Plenaries are an important space for individuals and Disabled People’s Organisation (DPO) members from Asia and Pacific Region to come together, learn and share, and to jointly develop a regional vision and advocacy action. With participation from 21 countries, the 3 day Plenary saw robust discussion on concerns around human rights of persons with psychosocial disabilities that are cropping up in the region and highlighted the efforts of individuals and DPOs in advancing the rights and inclusion of persons with psychosocial disabilities. A key concern that emerged was need to respond to the upcoming International Mental Health Week and the the medical psychiatric expansion throughout the Asia Pacific region. Towards this, all the 21 member countries adopted the Bali Declaration. The Bali Declaration calls upon stakeholders to ensure compliance with the United Nations Convention on the Rights of Persons with Disabilities (UNCRPD) and reasserts the rights and demands of persons with psychosocial disabilities from Asia and Pacific region in accordance with the guarantees of CRPD. Below is the text of the Declaration. The failure of the most current, and new policy responses framed by the medical model which are restricting freedom, choice and opportunities; the gate-keeping by the mental health system, by assessing, conditioning, controlling and restricting our exercise of our rights; often ignoring resources for inclusion within communities, cultures, belief systems that may increase our choices and chances of full inclusion. Korean DPO and NGO Coalition for parallel report on CRPD (2014). See INT_CRPD_CSS_KOR_18207_E. After the new mental health was implemented, over 90% admissions are involuntary. Average stay in mental hospitals is 247 days; 3693 days for those living in psychiatric sanatoriums. See CRPD Monitoring Committee List of Issues in relation to the initial report of the Republic of Korea. CRPD/C/KOR/Q/1 of 12th May, 2014.